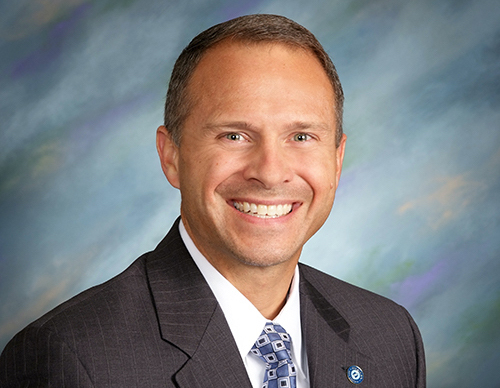 February 5, 2019 | By Superintendent John Marschhausen, Ph.D.
As the Hilliard City School District embarks on the journey of creating a campus school experience between Britton Elementary and Norwich Elementary it is imperative the facts, intentions, and plans drive our conversation. Our clarity of purpose calms fears, reduces anxiety, and maintains a focus on the mission. When we act with skill and intentionality the outcome is what we desire. When we act with emotion and impulse we fail every time. Our team is committed to discipline action, professional engagement, and educational excellence. 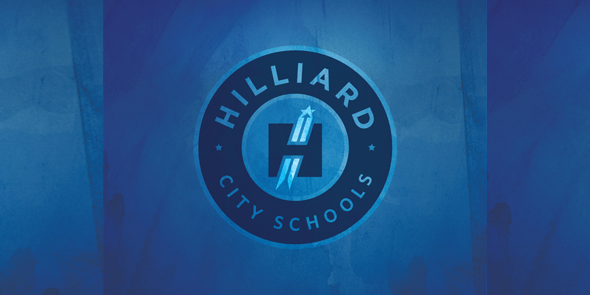 Beginning with the 2020-2021 School Year the Hilliard City School District plans to operate a single school campus incorporating Britton Elementary as a Kindergarten through Second Grade (K-2) Building and Norwich Elementary as a Third Grade through Fifth Grade (3-5) Building. This campus will include only the current students in the Britton and Norwich attendance areas. It has no impact on the other attendance areas for 2020-21. Is this being done in any other districts? Yes, several successful, forward-thinking districts in suburban areas have moved to organizing by grade level to take advantage of resources and more efficiently personalize educational experiences for young people. What we are proposing isn’t a wild departure from educational practices. Loveland City Schools, the district I previously served as Superintendent, operates one PK-K Early Childhood Center, a Primary School (1-2), an Elementary School (3-4), an Intermediate School (5-6), a Middle School (7-8), and a High School (9-12). Mason City Schools and Lakota City Schools, both districts of over 10,000 students, organize district elementary schools by grade level – capitalizing on the benefits of shared resources and services. The neighborhood elementary experience is part of the Hilliard Way. We serve nearly 17,000 students yet still provide a personal experience to each student. Our principals know every student and most families. Historically, neighborhood elementary schools create a greater sense of pride and ownership for school communities. What we do in our current configuration is excellent; there is nothing wrong with a 600 student neighborhood elementary. With that said, where we have an opportunity to both keep neighborhood schools AND capitalize on the opportunity to more efficiently utilize resources it is incumbent of us to act. The distance between Britton and Norwich Elementary is a short Par 3; a campus school environment will not impact any walkers, drivers, or bus routes. A campus school will not increase transportation costs. We can do better, with the facilities and resources we have, by living our district identified value of Passion for Growth. Our journey to elite demands that we keep improving, adapting, and adjusting to the needs of our students. Innovation and improvement is in our DNA here in Hilliard. Schools are changing. We have more data on both academic and social emotional metrics than ever before in history. We can work to match individual student needs with specific teacher skills. We know more about social emotional needs. We face more challenges with increasing poverty. We are more diverse. The role of schools is no longer simply teaching academics; we are responsible for more and more social functions. By having 7-8 sections of each grade level together we are able to capitalize on teacher skill. We are better able to maximize and balance class sizes. We will serve both gifted and special education students better; we will better personalize opportunities for all students. From an economic standpoint, this campus approach will make us more efficient with resource allocation. We don’t measure success by state test scores in isolation. Success is personal for each student; we want each student to be the best version of himself/herself. We have a plethora of assessments, both academic and social emotional, to track student performance and improvement. We will never “test” a student out of poverty or into college; we nurture, support, and challenge each student in our care. What worked best in the past, may not be the best for the present and future. We reflect, evaluate, and improve. Yes, Alton Darby and Darby Creek are next. We are starting at Britton and Norwich because we have three seasoned building leaders on this campus. Mr. Heitzman, Mrs. Borlaza and Mrs. Balduf know these buildings and know Hilliard. We will begin this process in the near future at our other elementary campus – Alton Darby & Darby Creek. These are the only two locations where we can maintain the neighborhood elementary climate and capitalize on combining resources. As we explore future facilities options, we will consider a Primary and Elementary approach as a construction option. The Next X report will include a facilities study; this is certainly a topic for consideration in that report. One of the greatest attributes of our district is our culture. Each building has a unique internal culture yet maintains the instructional standards of the Hilliard City School District. The instructional materials and curriculum are the same throughout our elementary system. Our district support teams and coaches provide the same in service and resources to all our buildings. Our campus approach simply changes the ability to focus and personalize services. We live in an increasingly diverse community. When we create a campus learning environment we naturally balance diversity between the buildings. This is intentional and provides additional opportunities for teaching empathy and appreciation. We are proud of the life-lessons we provide students in the school setting. Hilliard students are well prepared for a diverse, global world and economy. We have some of the most talented, skilled experts in public education in the Hilliard City Schools. Our community is blessed to be served by many educational experts. I have served in many districts, I’m a member of several state and national organizations, and I interact with educators from all over the country; we have a team of educational leaders that is second to none. Our Board attends both state and national conferences; they understand Hilliard’s place on the national scene. We are proud to be leaders in the educational arena. From the Innovative Learning Center to our One-2-One rollout, from our Social Emotional work to our commitment to Student Wellness, Hilliard’s team is a national model. We partner with the best – Apple, The Ohio State University, Panorama, CSCC, Amazon, Focus 3, Naviance, Worthington Industries, Fanning/Howey to name a few partners. Our team is collaborative, skilled, and experienced. While our purpose is clear, the next year will provide many opportunities to iron out the details. We have identified many questions; you can help us by asking questions of your own. There will be parent committees to discuss process and practice. We need to talk about drop-off and pick-up, SACC, siblings, PTO funds, conferences, music programs, playgrounds, transitions, and many other issues. We have begun this journey, we have a destination, but our path is far from cleared of obstacles. It is going to take us working as a school community to best serve our children. I can tell you with the utmost confidence what is counterproductive. When we permit emotions, the fear of change, to control our behavior no one wins. When we resort to vitriolic or bullying behavior – often on social media outlets – no one benefits. When we share suppositions as if they are facts, no one wins. My hope is that we can have intentional, skilled conversations about this transition. By doing so we model the behavior, the very behavior we teach the students in our classrooms, through our actions. We will stay “above the line” and act with discipline and purpose. If you have specific questions about the plan and process, please contact your building principal or Mr. Herb Higginbotham, Director of Elementary Education. We will continue to post information about future meetings in the coming months. The 2019-20 school year will provide numerous planning, sharing, and engagement events for this emerging campus family. 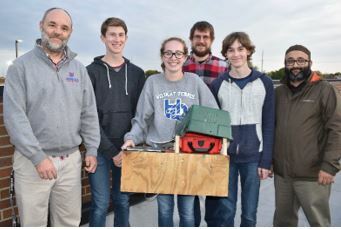 Students at Davidson high school have been given a tall order: Design a set of low-cost air quality monitors for installation on their school buildings to transmit data that will be used for curriculum and by the general public. The assignment came from two Ohio State professors — with a promise to provide expertise and assistance. Andy May in civil, environmental and geodetic engineering and Ayaz Hyder in environmental health sciences in 2016 received a grant from the National Science Foundation to deploy low-cost air quality sensors that provide high-quality data for better estimates of personal exposure to air pollutants. A unique facet of the project is that the professors work with a team of citizen scientists: the high school seniors and their engineering teacher, who also will help develop teaching materials using the sensor data. The Ohio State air quality monitoring is one of 13 capstone projects for the seniors, who are studying an engineering curriculum called Project Lead the Way. “The students in the Ohio State project are learning electronics, programming, sensors, information technology, project management, documentation, logistics and communications,” says Rusty Herring, engineering teacher at Davidson. He is an Ohio State alumnus with a bachelor’s degree in welding engineering and a master’s degree in education, which he obtained after working in project management engineering for 10 years with Procter & Gamble Co.
Now in its third year, the air quality project is growing to incorporate two more school districts and the city of Columbus Public Health department. May and Hyder meet regularly with the Hilliard students and their teacher as mentors. Hilliard Davidson student Emma Wood explains that she and her two teammates have distinct roles working on the monitors. Zach Augustine calls himself the technical expert. “I’ve taken a lot of design courses and learned CAD to work on the 3-D modeling,” he says, noting that he’s designing the sensor enclosures. Ben Charlson works on the air quality monitors’ internal wiring and components that will collect data on gases, particulate matter, temperature and humidity. May, whose research interest is the fate and transport of atmospheric pollutants, explains that the sensors, an extension of previous research he conducted by placing sensors on campus buses, will monitor carbon monoxide, ozone, nitrogen dioxide, particulate matter, and temperature and humidity in the air. The Hilliard students are exploring ways to make the sensors wireless and powered by solar panels. They are running connections from the sensors to a computer program that reads the values and will send them to a website. The project will demonstrate how engaging with the public can help translate “smart” science to actions of consequence, such as avoiding areas with poor air quality or identifying areas potential solutions, says Hyder, who determines where the monitors will be placed so the collected data can be compared with socioeconomic factors. “I’ve always struggled with the idea of equity. ‘Smart’ doesn’t just mean better. Are we doing things in an equitable manner?” says Hyder, who was hired at Ohio State as part of the Translational Data Analytics Institute. He points out that air quality has always been studied in public health with a keen awareness that a study in which people at the lowest socioeconomic levels are at the highest risk of exposure and yet also the least equipped to cope with adverse health outcomes associated with poor air quality, such as asthma attacks and cardiovascular events. Once the data is collected, May, Hyder and the Hilliard students, with Herring, plan to leverage it beyond the engineering courses to science and math classes in Hilliard high schools and middle schools and then outside of the district. May is working to install two more sensors with Columbus Public Health and teachers at both Worthington-Kilbourne High School and Thomas Worthington High School, who want to use the collected data in biology and environmental science classes. May and Hyder will be integrating the project in Dublin City Schools’ new Emerald Campus, a nontraditional high school innovation that lets students choose from various Career Exploration Academies including biomedical, business, engineering and IT. Each year, the students have progressed on the project and successfully passed it along to the next class of their peers. Of the 11 students who have worked with May and Ayaz, six are now attending Ohio State. Mike Faltas, who is a second-year Buckeye studying mechanical engineering, says working with May and Hyder gave him insight into how real engineering projects work. “The communication between parties was something I never experienced before, as well as the cooperation towards a solution. The professors were phenomenal resources when we needed guidance and offered up a lot of advice into what we should be doing,” he says, adding that he picked up planning and communication skills along the way. This Blog was originally posted in the Spring of this year. It has such important information, we wanted to share it once again. In the Hilliard School District we work to provide our students an education based on academic and social-emotional successes through personalized learning with an emphasis on interests, mindset, and rigorous academics. Listening to our students, with open ears, brought us to the conclusion that we should investigate our current class ranking practices. This spring I had the opportunity to facilitate a Class Rank Task Force comprised of Board of Education members, staff and parents. Our group reviewed research, examined nearby school district practices, learned what college admission officers are saying, and surveyed our own beliefs. When we were finished, we presented our findings to the Board of Education. After reviewing our findings the District Administration has announced that beginning with the Class of 2022, our current 8th grade students, we will no longer calculate Class Rank. Our school profile, most often used by college admission officers, will contain decile ranking. This will place students into a 10% category based on their GPA. We will also move to using Latin Honors at graduation. July 18, 2018 | By Superintendent John Marschhausen, Ph.D.
On June 11, the Board of Education passed its Annual Appropriation Resolution for the fiscal year beginning July 1, 2018. This is the mechanism required by Ohio law (Chapter 5705 of the Ohio Revised Code) by which the School Board authorizes the Superintendent and Treasurer of the School District to spend the money received by the school district through local taxes, state and federal funding, fees collected and other source. To support his resolution, the Treasurer prepares an annual budget and presents it to the School Board. You can view last year’s budget on the district website – next year’s budget will be posted soon. By approval of this resolution, the Board would be authorizing the Administration to spend $280 million of our neighbors’ tax dollars – collected directly as local property taxes and indirectly through the portion of their state income taxes that comes back as state funding. Of that, $200 million will be spent on day-to-day operations. Of that, $171 million (86%) will be invested in the compensation and benefits of our team of teachers, staff and administrators, now numbering over 1,700. We’ll be adding 43 new members to the team next year, with 90% of those joining the instructional and pupil support staff. The average first year investment in a new teacher – just in compensation and benefits – is $66,000. After a period of stable medical benefits costs, enabling two premium holidays in recent years, medical and especially pharmacy claims have been growing significantly, increasing the expenditure from the self-insurance fund from $22 million in FY15 to a projected $32 million in FY19, an increase of $10 million, or 45%. The Insurance Committee reviews this regularly, and makes adjustments to benefits and contributions as necessary. The Food Service program is projected to run at about break even, serving about 8,500 lunches each day. The program costs about $5.7 million/yr, and the cost is funded by $3.3 million of sales and $2.2 million of federal funding. Our transportation department brings 7,800 students to school every day, putting 1.2 million miles on our buses in the year, while spending $700,000 on diesel fuel. We put another 200,000 miles on buses every year taking kids to non-public and community schools. The School Age Child Care program operates at 16 of our buildings and cares for 1,100 kids. This program is self-funding. Our extracurricular budget is $4 million, 95% of which is for the compensation of ADs, coaches, directors, student advisors and game officials. We spend $3 million/yr for electricity, natural gas and water. We currently have about $150 million in outstanding bond debt vs our statutory limit of $250 million. We will be retiring $15 million of principle each of the next three years while paying interest of about $5 million each year. 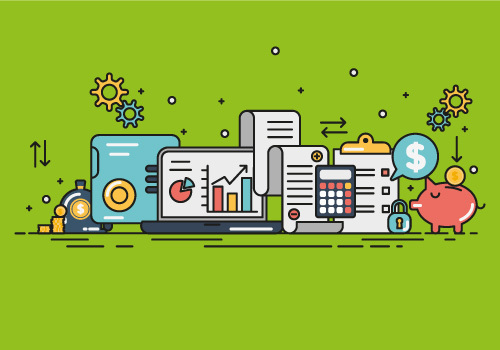 Our bonds are rated AA+/Aa1, which is the second highest rating possible, creating a high demand for our bonds, which lowers our financing costs. We have $6.8 million left in the Building Fund – money from the last bond levy – but will draw that down to $1 million by the time all the planned projects are completed. This is exactly what we told the voters we would do when the levy was placed on the ballot. Our current Permanent Improvement Levy funding is $5 million/year. This needs to be reviewed versus our projected periodic capital repair/replacement costs, and will be done as part of a Facilities study that is an element of the Vision Plan update project underway right now. 21 years is a long time to go to high school. But that is how long I have been a part of the Hilliard Darby High School community. As of this year, I am now a graduate from both the personal and professional privilege and honor of a lifetime. In 1996, I was asked to be a part of a small but mighty group of teachers and administrators, who would be, literally, building from the ground up the second high school in Hilliard, Ohio. 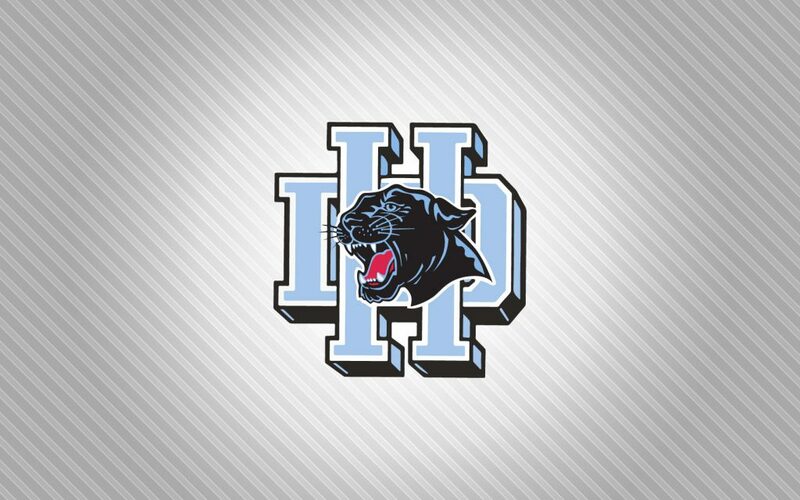 We started with designated freshmen and sophomores in the “old” Hilliard High School, the “new Transition Building”, and spent the year dreaming, designing, and planning for our new Hilliard Darby High School as it was being built. Being a part of an original teaching staff opening a brand new school is an experience not to be replicated. With our students, we made decisions on our school colors, our school mascot, our school fight song, inaugural traditions, and much, much more. We were a small close-knit group, some of us brand new teachers, full of energy and optimism; some of us seasoned, with a sense of commitment and renewed hope. We all had a sense of pride and family within the community we were creating. When Darby opened its doors in the fall of 1997, I was an intervention specialist, working with students with special needs. I had a unique position of working with my students and families for multiple years. I had the privilege of watching young, struggling children mature into self advocates who knew their strengths and weaknesses. I was with those kids at Darby as they learned hard lessons about themselves, from taking responsibility and ownership for poor choices, to tearful, hard earned, proud Darby Graduation Days. I was and am so grateful be a part of these kids’ lives everyday. As my teaching career began to evolve into a shared school and district administrative role, the first of my own four boys became a Panther along side me. 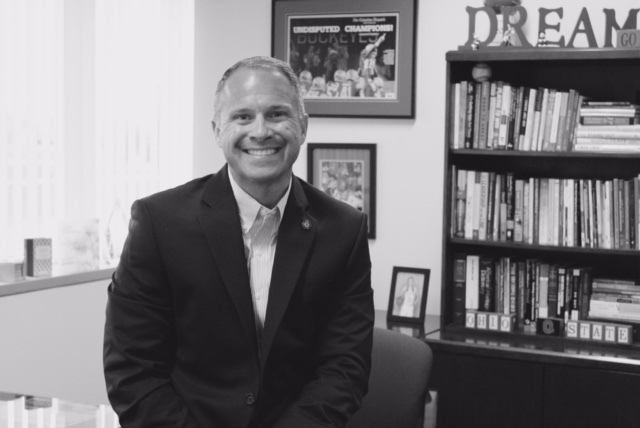 At Darby, I watched and walked beside him as he had his own share of disappointments and growing pains, finding his passions and sharing his gifts. As all teenagers do, he struggled to find that balance between security and independence. For the past fifteen years, as each Cochran boy, one after another, walked through the halls of Darby High School, I supported and honored their growth, perseverance, achievements, and autonomy. Helping with team meals, chaperoning, fundraising, practicing, tutoring, and cheering, the sense of family and Panther Pride never left me. My four boys didn’t follow in each other’s footsteps at Darby High School. They each forged their own paths to become the men they are today. Together, we experienced class projects, homework, exams, girlfriends, ex-girlfriends, baseball games, cross country meets, volleyball tournaments, high school musicals, drama programs, athletic events for which Cochran Spirit Leaders led the crowds of Panther Nation cheering for one another, and countless orchestra, band, and choir concerts. The one true love for all four boys was one period each day at Darby, one 47-minute period for 15 years: an inclusive community of voices in Dr. Michael Martin’s class. High school turmoil, stress, drama, and anxiety were erased as harmonious voices joined their hearts and souls together under the direction of Dr. Martin. Throughout the years as I listened to those young voices raised together as one voice, they have never failed to move me. The profound depth to which these musical experiences has impacted and changed each of my boys’ lives can never be measured in time or words. Hope for our future is walking the hallways of, not only Hilliard Darby High School, but in high schools across our nation. Kids today are kinder, more aware, more resilient, and more responsive than ever before. How grateful and honored am I to have spent nearly half my life, being an integral part of daily living and learning amongst teenagers at home and in the halls of Hilliard Darby High. I am proud to continue to work in the Hilliard City School District, and I will always keep Darby in a special place in my heart.